Respiratory Tract Infection: A cough is often a symptom of a cold, flu, pneumonia or other infection affecting the upper respiratory tract. Unlike most of the other symptoms associated with these conditions, it can linger for some time, whether because the infection is hanging around or because your airways are still inflamed and sensitive to irritation. 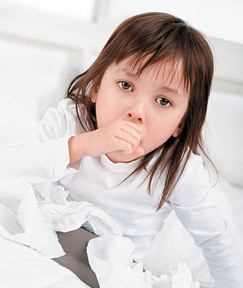 Asthma: The leading cause of chronic cough in children and also common in adults, asthma can also cause wheezing and shortness of breath, although with at least one type of asthma, cough may be the only symptom. As you might expect, asthma-related coughs may be worsened by respiratory infections or other conditions characterized by coughing. 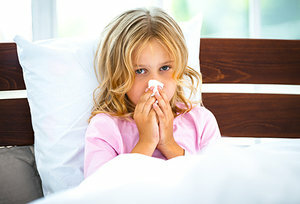 Blood Pressure Drugs: Yes, some children (and many adults, of course) take ACE (angiotensin-converting enzyme) inhibitors, which may cause chronic cough; in fact, it’s estimated that 20 percent of people taking blood pressure drugs develop chronic cough that may linger even after medication is discontinued. Gastroesophageal Reflux Disease: GERD causes stomach acid to flow back into the esophagus, so the throat and even the lungs can be chronically irritated, the result of which can be chronic coughing. There are other causes of cough, but keep in mind that an occasional, temporary cough is completely normal; it helps keep your lungs clear of foreign substances, secretions, etc., and helps to prevent infections. It’s the unrelenting cough that deserves a visit to the doctor for further investigation, if nothing else than to rule out anything serious as a causative factor.